The Lego Movie 2: The Second Part is out this weekend, and given that no big movie is complete these days unless it has a Lego tie-in, it would be pretty weird if the Lego Movie was any different. So we've picked our favourites from our big list of the best Lego Movie 2 sets you can buy right now. 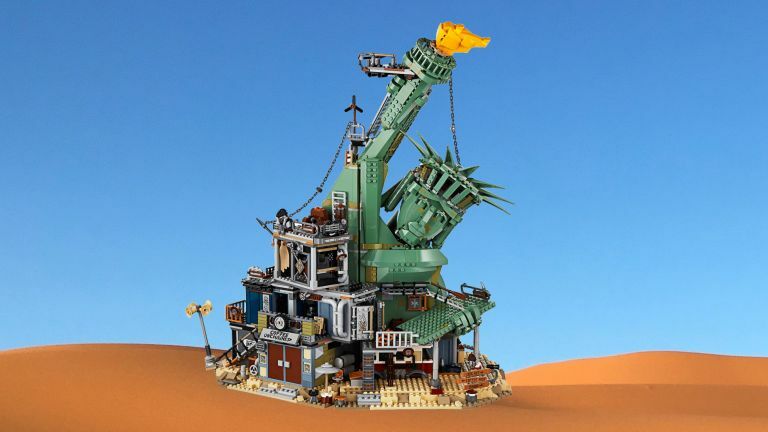 There are so many buildings built up around the statue, all of which are full of equipment and functions that means kids can play out scenes from the movie using the generous set of Lego minifigs, or if you just want it as a display piece, you can put together a pretty great diorama. We're also huge fans of the Lego Movie Maker kit, which enables you to build a camera operating system (your phone will be the camera, running a special app), a background, and a system for moving Lego vehicles and people around. It's all so you can make your own Lego Movie scenes – perfect for getting kids to use Lego in even more creative ways. If you just want a little gift for Lego Movie fans, there are some excellent sets that are cheap and basically self-contained – Emmet's Thricycle includes the main character, his ridiculous vehicle, and a Duplo invader to escape from. Meanwhile the Introduction to Queen Whatevra Wa'Nabi set includes a great handful of characters, including Lucy and the film's antagonist. Those two together cost around £30 and would give a kid a great set of characters to play with however they want. You'll find the best prices for all of these sets below.